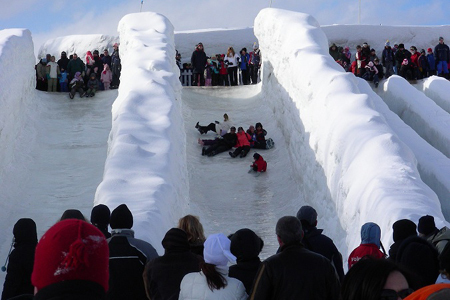 All of these magical experiences and more happen in Canada’s Capital Region during Canada’s winter celebration, Winterlude. 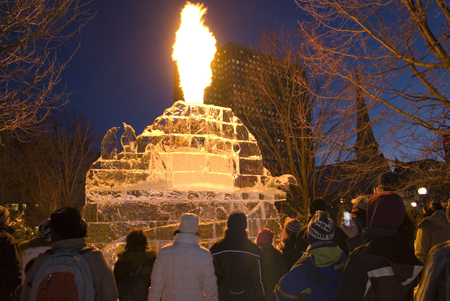 This family-friendly festival takes place each year during the first three weekends of February (the 33rd edition of Winterlude runs from February 4 to 21, 2011). Best of all, most of the activities are free! What better way to embrace winter in all its glory? This year, the celebrations start with the American Express® Winterlude Opening at the Canadian Museum of Civilization (CMC) on February 4th at 7 pm. The artistic and musical multi-sensory experience will feature something for everyone including special museum programming, outdoor lighting effects, an interactive fire experience, amazing sound performances, a DJ dance party and, at 9 pm, a fireworks extravaganza to celebrate the 100th anniversary of Parks Canada. Other cultural organizations will also be offering programming throughout the festival, including the Ottawa Chamber Music Society, the Canada Science and Technology Museum, and the National Gallery of Canada. 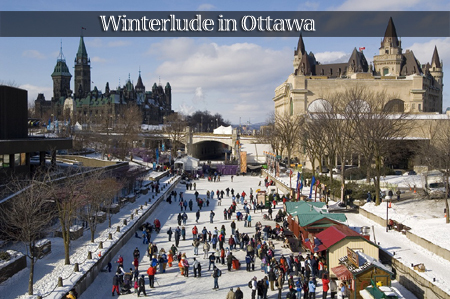 In winter, the Rideau Canal, Ontario’s first UNESCO World Heritage Site, turns into the Rideau Canal Skateway—the world’s largest outdoor skating rink, as designated by Guinness World Records, stretching 7.8 km (4.8 miles) through downtown Ottawa. (The full Canal stretches 202 km / 126 miles south to the city of Kingston on Lake Ontario.) 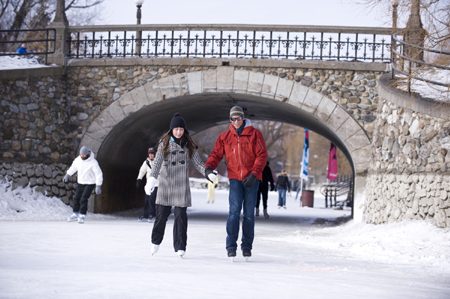 This winter will mark the 41st season of skating on the Rideau Canal Skateway and it officially opens for skating when the weather and ice conditions are right (usually between early January and the end of February or beginning of March). Ice conditions are regularly updated on the Skateway’s official website. Everyone can enjoy the magical experience of gliding on the Skateway while gazing up at sites such Parliament Hill and the Fairmont Château Laurier hotel. 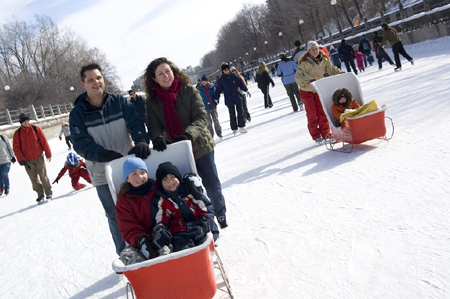 Skating is the most popular activity (bring your own or rent some on location) but large rental sleighs are also available—adults and children alike can sit comfortably while being pushed over the ice. 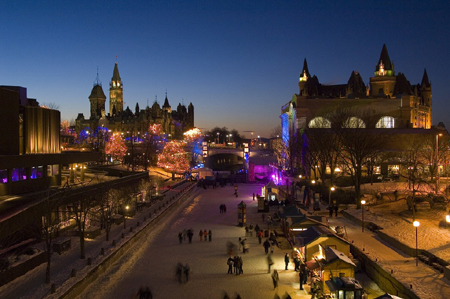 (Rental skates and sleighs are available at Capital Skates kiosks, located on the Skateway). Walking on the edges of the Skateway is also a popular choice. 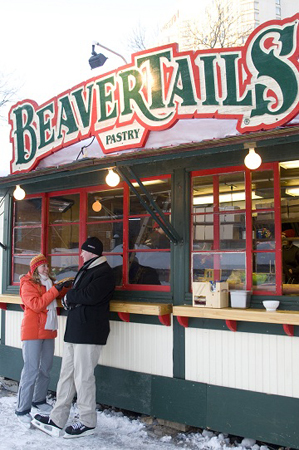 Warming huts and snack bar stands are strategically located along the canal so you can reward yourself with a hot chocolate and a BeaverTail pastry. This tasty whole wheat pastry was created in Ottawa, so eating it on the frozen Rideau Canal is a must! Enjoying interactive performances including heritage blacksmithing, and “Ghosts and Echoes of the Rideau Canal”: a musical collection of ghost stories, legends, folklore and re-enactments, by Parks Canada. 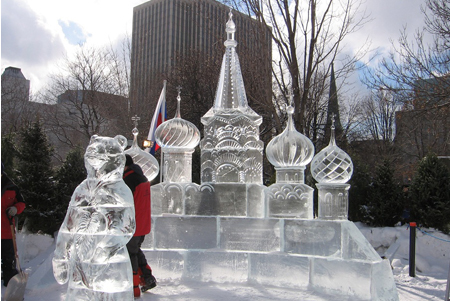 Located steps away from the Rideau Canal Skateway in downtown Ottawa, the Rogers Crystal Garden is home to the international ice carving competition. After dark, the sculptures become even more impressive when illuminated, and you can get your groove on as DJs spin tunes in the Rogers Crystal Globe (a giant inflatable bubble). 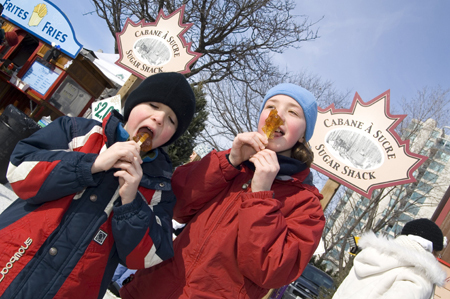 Before and during Winterlude (from January 27 to February 21, 2011 ) you can learn more about Ottawa ’s culinary scene by participating in the Taste of Winterlude program. Various wine and food events and unique dining experiences cater to everyone’s tastes—think wine and food pairings, cooking demonstrations and chocolate tastings. Yum! Ottawa has a wide variety of accommodations to choose from, including bed and breakfasts that range from small to large and from urban to rural. 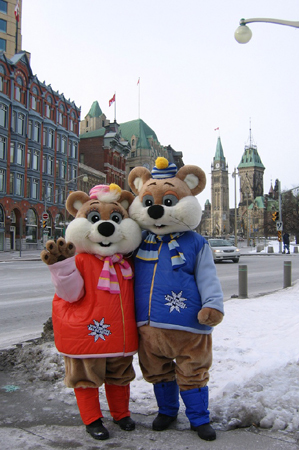 They make the perfect base for exploring the city as well as the Winterlude festivities! Need accommodations during Winterlude? Stay with a member of BBCanada.com who belongs to a local Ottawa B & B association: Bed and Breakfasts Ottawa, or Ottawa Bed and Breakfast Network. For more information and to book your Ottawa getaway, visit www.ottawatourism.ca or call 1-888-OTTAWA-8.